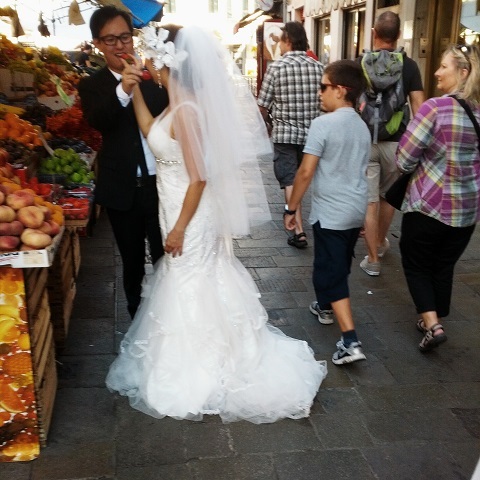 Brides and grooms are always an interesting subject to be photographed in Venice. Thanks to my cousin Alvise (who has also created a high tide app https://play.google.com/store/apps/details?id=com.wetoo.acquaAlta&hl=en ) for this nice pic. 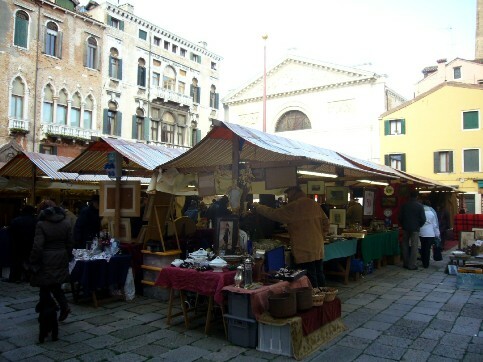 At San Maurizio Square, between San Marco and Accademia bridge, for four weekends each year, you can find a lovely antique market. 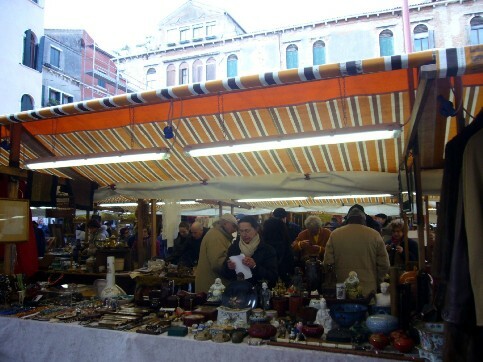 If you are lucky and a good buyer you can find interesting and fine old objects. It’s really a pleasant visit.